On the day that WIN Television turns on TEN in regional markets, Nine lands third in metro markets. But the two are purely coincidental as there is no change to the OzTAM panel in 5 cities. Thursday was the third night in a row TEN won the primary channels, thanks to MasterChef. But the strength of Seven’s multichannels pushed the network well in front of rivals, led by Seven News. Sport played a big part in proceedings with staggered schedules on both Seven and Nine. ABC titles including Kitchen Cabinet, Rake and Cleverman were down slightly on last Thursday. Seven network won with 30.3% then TEN 23.4%, Nine 22.9%, ABC 17.2% and SBS 6.1%. Seven News was #1 with 1.06m / 983,000 then The Chase (735,000 / 486,000), and Home and Away (645,000). AFL was 300,000 in 2 cities, Mighty Cruise Ships was 274,000 in 3 cities and Air Crash Investigations was 225,000 in 3 cities. 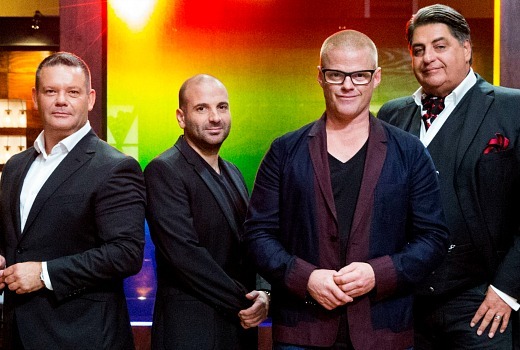 MasterChef Australia won its slot with 1.00m / 810,000 viewers for TEN. The Project was 603,000 / 436,000, TEN Eyewitness News (533,000) and Shark Tank was 452,000. Nine News (1.02m / 922,000) led for Nine then A Current Affair (740,000) and Hot Seat (601,000). NRL was 316,000 in 2 cities, RBT was 246,000 in 3 cities, and Movie: The Negotiator was 182,000 in 3 cities. On ABC it was ABC News (770,000), Rake (560,000), 7:30 (556,000), Kitchen Cabinet (458,000), Antiques Roadshow (305,000) and Cleverman (217,000). Fat v Sugar (240,000), Poh and Co. (194,000), SBS World News (171,000) and Made in Italy with Silvia Colloca (123,000) comprised SBS night. Follow the Money was 80,000. Shaun the Sheep (267,000) couldn’t be budged as best on multichannels. OzTAM Overnights: Thursday 30 June 2016. ‘Too Cleverman By Half’ plunges again-down by 25,000 from its low base of last week. Hey you’re right on both fronts. I guess I’m too used to the tussle for first being elsewhere. Elephant stamp for you. Excellent numbers for The Chase. Seven seem to have finally found their rhythm in this timeslot. The game’s format is key. On Hot Seat, there are maybe 15-20 questions per show. On The Chase, you get that many before the first ad break. And no waiting until after the commercials to find out the answer. Why doesn’t Nine do anything about Hot Seat? Heather, matt and Chloe missed the brief. Sorry Heather’s looked like slop on a plate, chloe’s looked at least appetizing. I think the judges got it right! Totally agree yet l think Heather is a great cook generally. The finale of Follow The Money was great. Rake was good, too. Yes, Rake was pure gold last night. This season has been brilliant. Heather was gypped on MC last night. Chloe should have gone, for ignoring the brief. I still haven’t forgiven Elise for Wong Tongs.